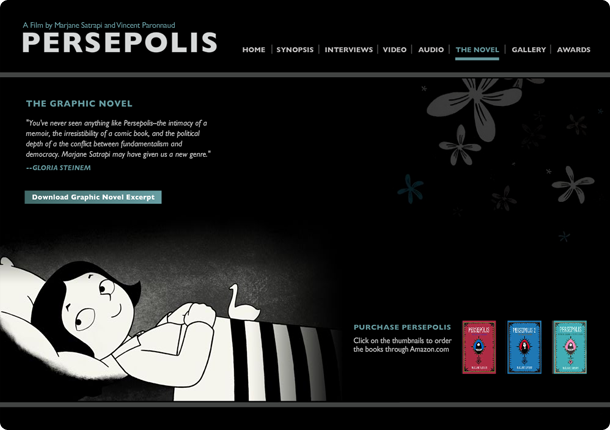 To create an informational website that captures the essence as well as support a motion picture. 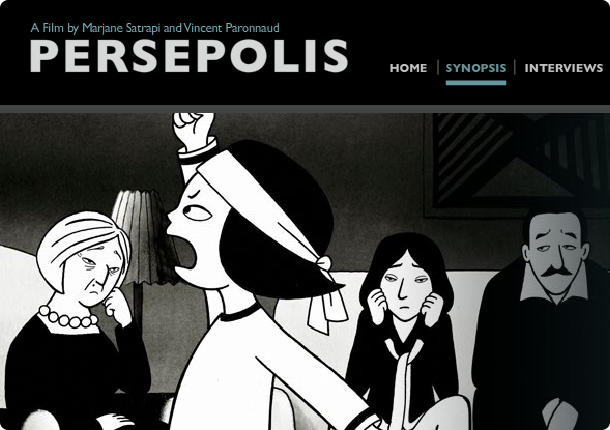 Persepolis is an animated film by Vincent Paronnaud and Marjane Satrapi based on Marjane Satrapi’s autobiographical graphic novel of the same name, Persepolis. 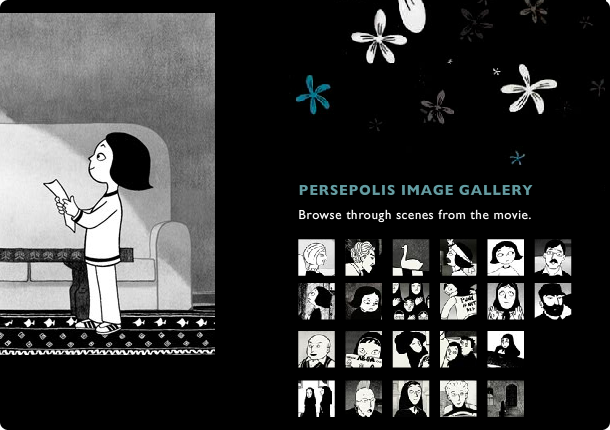 It is a story of a Marjane growing up as a young girl to her early adult years in Iran during the Islamic Revolution. She deals with issues such as religion, freedom, politics, love and social/culturtal differences. 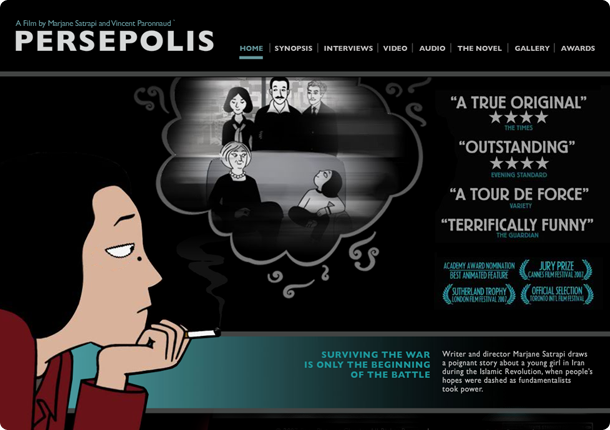 The movie’s title is a reference to the ancient capital of the Persian Empire, Persepolis that is now in ruins.